Have You Life-Proofed Your Home? For most homeowners, buying a house is the investment of a lifetime. Once you start embracing the idea to live in your own house, you naturally invest time and money to make it work for you. But there’s one thing that most homeowners are guilty of forgetting: Life. Life evolves and takes you to places that you might not have expected, or even planned for, a few years ago. Your family changes, your body changes, your needs change. Yet, the house often remains the same. This is, unfortunately, a mistake. Your house needs to reflect the evolution of your lifestyle. In short, you need to plan time for the home improvement projects that reflects your current situation. Is Your Home Equipped For Old People? It is not uncommon for families to take care of their elderly relatives. Indeed as your parents, your grandparents, or maybe even your aunts and uncles age, they may gradually lose their independence. It’s time for you to consider taking care of the elderly in your home. This is never an easy decision, and you might find that it requires a lot of changes. It’s important to declutter your house, not only to make room for your older relatives, but also to avoid any accident with people tripping over toys and cables. Last, but not least, is to look for options to install a stair lift if you have multiple floors. This will make everybody’s life a lot easier. Is Your Home Equipped For Little Bundles Of Joy? There’s nothing more exciting than having a baby. But there’s nothing more time and energy demanding. Future parents need to consider babyproofing their home long before the birth. Indeed, it is recommended to make all the time and cost involving improvements during the first months of the pregnancy, so that you can relax. But as it’s not always easy to plan for the time, most families prefer to use the maternity and paternity leave to make all the necessary changes. This means looking to remove any danger that is at baby’s height, such as electrical outlets and cables for example. You will also find yourself going through a similar process if you choose to adopt a pet. Indeed, the removal of visible cables, as well as dangerous chemicals, is the first safety operation of every dog and cat owner. You will also need to buy gates to block access to certain areas of the house, in the same way than you would with a crawling baby. Is Your Home Equipped For Everyday Uses? Last, but not least, is the routine that suffers from outdated furniture. The two main rooms that you need to keep updated at all times are your kitchen and your bathroom. Your kitchen will need the installation of new appliances regularly. This often goes with a renovation project to brighten up the décor – it is generally necessary, as years of cooking can make your kitchen look and feel dull. Similar improvements need to be made in your bathroom, as it is a room that needs to evolve with you. For instance, it’s important to regularly replace your vanity unit if the family is growing. You will also need to refresh the paint in the bathroom every few years as a year of showers can damage it. Another week has flown by and we are half way through another month, and another week closer to meeting out baby. The exciting news that my fiance has been offered and accepted a fantastic new career opportunity. He works currently as a Lettings Manager but has been selected to move and take on a bigger branch within Birmingham. I am super proud of him and he deserves this a million times over. 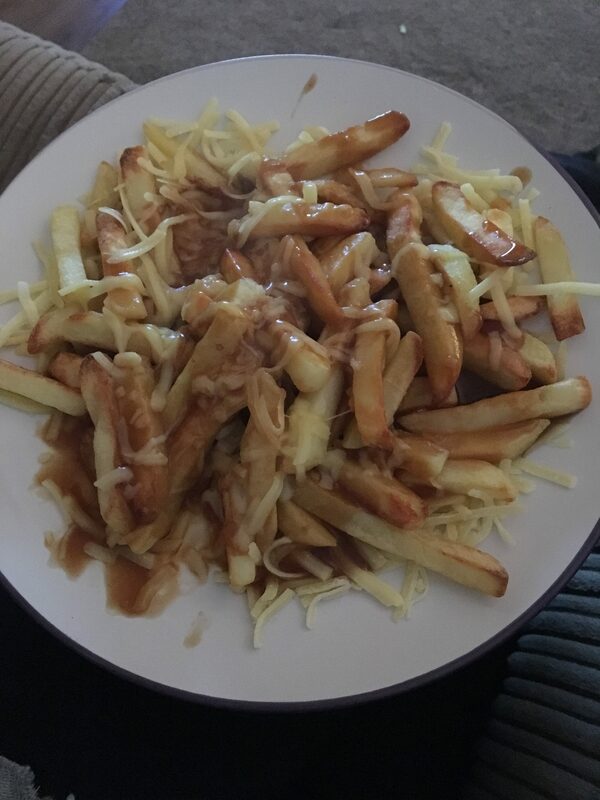 Not everyone’s type of meal but we were feeling super lazy and the OH came up with the idea of chips, cheese and gravy for tea and it was amazing. For the first time this year, I have been able to cut the lawn, only took the top off it as was still wet underneath but it looks so much better already, now to try and keep it up ever week. Also pottered around in the garden emptied my pots ready to refill with fresh new spring flowers and plants. The internet is rife with information about how to prepare for a baby. Articles focus on the obvious baby prep. From getting a nursery ready to stocking up on everything your child is going to need. We’re going to go ahead and assume you’ve got all that covered. If not, there’s already enough information out there to help. Instead, we’re going to look at the baby preparation that isn’t spoken about. Rather than focusing on what you need when baby arrives, we’re going to look at what you should focus on during pregnancy. The one thing you can be sure of is that everything is about to change. So, take these nine months to get things in order and prepare for the changes to come. Here’s our alternative guide to preparation! You don’t need us to tell you that babies are expensive. It’s probably all you’ve been thinking about since you found out about your pregnancy. Of course, nothing else is so worth the expense. But, that doesn’t stop the financial commitments seeming daunting. Make sure you’re in the best financial position when the baby comes by clearing your debts. You may not be able to clear those debts completely in nine months, but now is the time to come up with a plan. If you pay a good chunk of the amount you owe, you’ll be in a much better position down the line. A company like Money Expert is by far your best bet here. Such companies help you pay back your debts on a monthly payment plan. And, you already know how many months you have to play with! 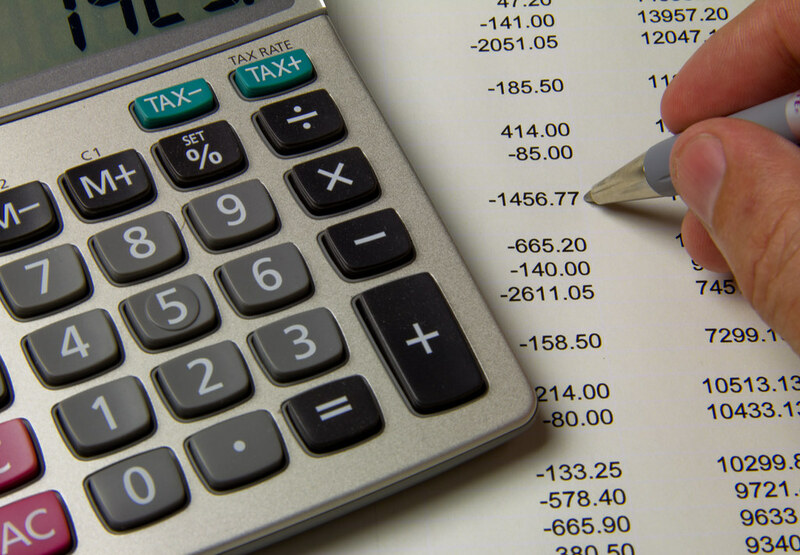 Work out how much you would need to pay each month to clear the debt, and decide whether it’s doable. If not, try to come up with a payment plan that will get you as close to being debt free in nine months as possible. This is a point you won’t find in many preparing for parenthood guides. New parents are meant to be busting to meet their bundle of joy. And, there’s no denying that you fall into that category. Even so, there’s no shame in admitting that you need to spend time alone right now. Once you become a mother, alone time will become a thing of the past for a good few years. Embrace that by getting plenty of it now. We all enjoy the chance to wind down alone every now and again. It’s one thing that many parents wish they had more of. Through your pregnancy, set aside at least one night a week for yourself. Do all the things you most enjoy when you’re alone. It may be that you relish in a solitary walk, or love to sit down with a good book. Make set dates with yourself, and stick to them. This is your last chance to enjoy those secret pleasures. Okay, that may be a little drastic. But, you can be sure that it’ll be many years before alone time is so easy to come by. Don’t waste the opportunity. Of course, you won’t be completely alone, even now. Your baby is there with you, even when you can’t see them. But, the odd kick is a distraction worth having! In the same vein as alone time, it’s important you nurture your relationship right now. Providing a strong and loving home is the best way to give your baby the best start in life. Yet, when the baby comes along, there will be an added strain on your relationship. You and your man aren’t going to be able to spend half as much quality time together. Of course, time spent as a family of three is still a form of bonding. But, you want your relationship on the best footing when baby arrives. As with your alone time, schedule a date night a week. Work out the dates with your man, and make sure he knows not to make other plans. Then, set about planning things that you know you won’t be able to do when the baby comes. This could be a simple as going for a romantic meal at a restaurant. Or, you could go all out and arrange trips to the theatre, or even nights away. The most important thing is that you luxuriate in each other. Put all other worries aside. Make a rule that you don’t even talk about the baby on these dates! Once you bring home a new puppy, you will no doubt expect it to be full of life and have endless energy! There are so many stories of energetic puppies causing a lot of mess and havoc for their new owners. But what happens if this isn’t the case, and your puppy seems to show signs of sickness and ill health? This is something that could really worry you. To make sure you get your puppy the help it needs, here are some common symptoms and their solutions. Pet blogs like www.yourfamilypets.com usually list diseases and their normal symptoms, and you will notice that diarrhoea is a regular occurrence in puppies. You should expect your puppy to suffer from diarrhoea when they first move into your home, as it is often caused by anxiety. If it continues, it, more often than not, is just because the puppy has eaten something that it shouldn’t have! However, it could also be a sign of something more serious. Sometimes diarrhoea and loose stools are caused by bacterial infections or parasites. If it continues for more than a week, you should take your little pooch to the vet. Vomiting may be a sign that your puppy is anxious, just like diarrhoea. It might also be because your dog is gulping down their food way too quickly! But if neither of these is a likely cause, you should book an appointment with your vet. It’s important to get them to the vet as soon as possible if the vomit looks unusual or contains traces of blood. One reason why so many people find puppies cute and funny is that they are very prone to unusual behaviour, such as chasing their own tail! But if yours appears to be dizzy or walking around like it may be drunk, it could be suffering from ataxia. This is often caused by dehydration or low blood sugar. One way to solve this is to rub their gums with Karo syrup and ensure they always have access to plenty of water. If your pup seems to be off their food, it could just be down to nerves and anxiety. You should try changing their food to see if they prefer a different brand, such as www.pedigree.com. They may prefer a different flavour! If nothing seems to be able to get them to eat, you should take them to see the vet, as it could be a sign that something major is wrong with them. Puppies need lots of naps after all their running about! But if your puppy seems to do nothing other than sleep or shows no motivating to play, it could be a symptom of an underlying health condition. If you take them to a vet, you will be able to rule out bacterial infections. If that isn’t the cause of the fatigue, you probably just have a very lazy dog! When something is wrong with your pup, it’s best to always take them to the vet – just in case! Going to the bride’s dress fittings, helping her pick the ideal outfit and being easy with whatever you’ve got to wear can be a massive help. Saying yes to your own dress and not being picky about something that is personal to her and her special day is something that can make a huge impact on the feel of the whole occasion. Don’t bring down somebody’s dream with your own wants and needs. If the bride is taking it upon herself to create her own bespoke invitations and save the date cards, or even something as simple as name settings and directions for the reception venue, help out as much as you can. It is a time consuming effort and one that shouldn’t be underestimated. Have a look around for good deals on materials and get inspiration from a variety of sites across the internet. Remember to keep to the theme that she is wanting and don’t deviate too far away from what she wants you to do. Set a day aside at least to get ahead. Helping out with the logistics of how the bride, groom and everybody else involved in the wedding are getting to the venue can save so much hassle. Have a look around to see the best places to hire a wedding car, and always look for reviews and recommendations – the one thing that you will need to keep in mind is the timekeeping of these companies. There are so many different options for getting somewhere, and you’ll need to think outside of the box for different ideas; bicycles, horse and cart, tractors – the sky’s your limit, aim high! With the rush of the build up, many people forget the assistance that the main couple will need on the day. It can be something silly like getting people up to dance on the night, directing them to their seats when they arrive for the ceremony, helping the bride with her dress when she goes to the toilet or even just chatting to people that you don’t know on the table that you have been placed at. As long as you keep the day flowing and put in your best effort to do so, there should be no reason for anything untoward to happen. The cogs behind a fantastic wedding are definitely to be appreciated – you’ll go down a treat! Different people look for different things from a holiday. Most of us are keen to just get a change of scenery, as the every day can become suffering without the occasional change. For some people, this means picking the same spot that you always go to – that good old resort that never lets you down. After awhile, though, don’t you worry that going to the same place becomes its own kind of routine? Isn’t part of the joy of holidaymaking the fact that everything is a bit new and different? Would it not, therefore, be a good idea to bring a little mystery into your holidays…? There is more than one kind of mystery. There is the kind involving going to places you have never been, seeing things you’ve never seen. Then, there is the most classic form of mystery. The kind that gets armchair detectives hunching over the screen. Next time you book a trip, why not get a sense of that in person by visiting a place that hosts an unsolved mystery? Okay, so London itself is not new or unusual in terms of destinations (or though, stats suggest 1 in 10 UK residents have never visited!). London has plenty to offer in general, but if you like a frisson of mystery then paying a visit to Whitechapel is the best bet. With Whitechapel, you can take a Jack The Ripper tour and dive deep into a mystery that even a century of detective work has not been able to solve. The brutal murder of five women in 1888 brought Victorian London to its paranoid knees and theories abound as to the identity of the suspect to this day. Maybe you can crack the case by walking in the footsteps of the victims – and the killer himself. While London is lovely, it may be hard to persuade anyone to spend several nights in Whitechapel. A longer break by the banks of Loch Ness, however, is a much easier sell. The Scottish highlands are beautiful – rolling hills and lush verdant scenery awaits. Into that landscape, insert one of the UK’s greatest mysteries: the Loch Ness monster. Suggested to dwell in the depths of the predominantly freshwater lake, “Nessie” has been a source of fascination for years. When it comes to large-scale, ancient constructions, our minds turn easily to Egypt and its pyramids. That’s all well and good, but it means we miss out on an altogether odder question: just what are those standing stone statues on Easter Island all about, and how did they get in place? The Moai – as they are known locally – are estimated to weigh up to 14 tonnes on average, with some weighing upwards of 80. We don’t know how the stones were carved, moved into place, or why they were brought into existence. It’s an endless source of fascination – but capture it while you can. Environmental factors may mean they are not standing for much longer, so visit this unique island while you have the chance. Ponds are a great addition to any garden, as they encourage wildlife and a wide variety of flora. However, lots of families think that there is a lot of maintenance and hard work that comes with a garden pond. But that actually isn’t the case! Sure, you need to make sure that your pond stays as healthy as possible, but this is relatively easy to do. Especially when you follow these great tips. Ideally, your pond shouldn’t be too deep or too shallow. You need to try and install a pond that has different depths so that a lot of different pond life and plants will come and inhabit it. If possible, the middle of the pond should be the deepest point, and the edges should come up to just under the surface of the water. Lots of people add fish to their ponds as it makes the pond even more attractive. However, if you also want to see other natural wildlife in your pond, like newts and frogs, you shouldn’t add any fish. That’s because the fish won’t mix well with other creatures. You should choose between adding fish or encouraging other wildlife to your pond. It’s true that you need to tidy out your pond, but this only needs to be done once a year. In fact, if you over tidy the pond, you could actually damage the habitat that has built up in it. Don’t worry if your pond looks slightly messy or untidy because there are a lot of different plants and flowers in it – that’s actually a good sign! A mixture of stones, plants, and twigs gives wildlife and pond life lots of things to live in once winter comes. Lots of people top up their pond by adding tap water to it. However, this should be avoided as tap water contains high levels of nitrates and other nutrients. These chemicals and extra nutrients will encourage the water to turn green and algae to develop. Don’t worry if you think that your pond is getting too shallow, especially in summer. It is normal for pond levels to fluctuate, and yours will fill up once again when it rains. But if your pond does get dangerously low, add a filter like Oase aquamax along with some tap water. The filter will be able to neutralise the tap water. You need to have some shade around the pond from trees and bushes, as this will be good for the wildlife that lives in the pond. However, if you create too much shade, you will end up making the pond too dark for plants to grow in it. Once plants start to die, they will decay, and all of their organic matter will float to the bottom of the pond, which can pollute the water. So, make sure that parts of the pond are shaded, while others get plenty of sunshine. Hopefully, your pond can now thrive! When you’ve just become newly engaged, there are all sort of emotions that race through your brain and body. First is the abject shock (providing you weren’t expecting it at all), followed by joy and excitement. But then the nervousness and sometimes even the dread can set in sooner than you might think. Weddings are not only a big commitment regarding your personal life – they are also a massive financial burden, which can also sometimes cause couples a lot of stress. No one wants to spend the run-up to their big day strapped for cash, or to want to have to sacrifice much-desired aspects of the ceremony/reception due to not having enough money. Burying your head in the sand is the absolute last thing to do when it comes to getting married; you can’t just turn a blind eye and hope that it will all work out in the end! This is the kind of thing you need to plan to ensure that it will be a success and that you don’t financially run yourself into the ground. There is a bit of a stigma around these days surrounding being engaged for a long time. Some people seem to think that once the question has been popped, you need to get married within the next twelve months. But in reality, there is no rule that says how soon you need to get married – you can be engaged for as long as you like! Rushing the wedding will also mean that you need to scrape the cash together pretty rapidly, and this can lead to some of us making risky decisions such as taking out a loan to pay for it all. As much as you might want to get married straight away, sit back and try and look at the bigger picture. It is far better to have your dream wedding four years down the line than it is to run yourself into debt just to get married in six months. Certain aspects of your wedding are just going to be expensive – there’s nothing you can do about that. If you want the dream wedding venue, you are going to have to part with the cash; there are no two ways about it. But, to compensate, there are other areas of your big day and the run up to it that you can cut back on. For example, instead of having separate expensive bachelor/bachelorette parties, why not throw one together? You can get engagement party decorations at very reasonable prices and could host the whole thing at home. You could also consider providing your own wedding food to cut the cost of catering – there are so many possibilities as long as you are willing to open your mind. In order to save money to pay for the wedding, you and your partner are going to have to commit to the cause. Set a budget aside and agree to stick to it. This may also mean that you have to cut back on other aspects of your lifestyle in order to save the cash. This could be you agreeing to limit your spending on clothes, or your partner agreeing to host a poker night at home instead rather than paying to go out to a club. It’s all about compromise, and providing that you both stick to the rules, you’ll be pulling off your dream wedding in no time! This week has been a mixture of weathers again, but Thursday was lovely, blue skies, the sun was shining and barely any clouds or wind made an appearance, it really did start to feel like Spring was finally on its way. While waiting for the train I came across these miniature daffodils a pure sign of Spring. Whenever I see them they are sure to cheer me up.